Olympus provides a range of inspection systems. The latest generation IPLEX RX videoscope offers market-leading resolution and image brightness making it ideal for wind turbine gearbox inspection. The range also includes UT flaw detectors for blade and other component integrity inspections and X-ray fluorescence analysers for PMI checks. Phoenix Contact GmbH & Co. KG is an international leader for connection technology between conductors and PCBs as well as in automation technology electrical interface technology and surge protection. Phoenix Contact has been a reliable partner for the windpower branch for approximately 20 years. Raycap has many years of experience providing products that help wind power systems perform with reliability, efficiency and safety. Lightning protection products include the company’s unique and patented surge protection solutions, featuring the maintenance-free Strikesorb® electrical protection technology, which offers the ideal protection for critical electronic systems inside wind turbines. Strikesorb has a 10-year product warranty and is fully compliant to the UL 1449 4th edition and IEC 61643-11 standards. Additionally, our SafeTec, ProTec and ProLEC product lines feature a variety of different surge protection, lightning monitoring, surge event counting and reporting solutions for wind farm operators. Contact Raycap today to find out more. Seaway Offshore Cables is a leader in submarine cable installation, as well as inspection, maintenance and repair serving the global offshore renewable energy and oil and gas sectors as well as utility markets. The innovative Seaway Duo: Cable Lay Vessel Seaway Aimery and Installation Support Vessel Seaway Moxie have already set new standards in within the global submarine cable installation market. SINTEF Energy Research is a non-profit organization with a staff of about 200 – part of the SINTEF Group engaged in contract research. For wind energy SINTEF Energy Research focuses in particular on grid integration and solutions for offshore hereunder hosting the Norwegian Research Centre for Offshore Wind Technology NOWITECH – www.nowitech.no. 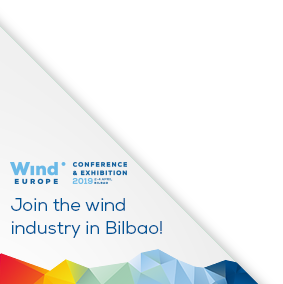 Tecnalia develops new technologies and qualified services focusing on reducing costs over the whole wind life-cycle sector. Foundation design. Multi-functional materials and coatings. Composite recycling. High power electronic electric machines and grid integration. Smart technologies for manufacturing and assembly. Predictive maintenance and control. Advanced industrial instruments. Material and electrical laboratories.